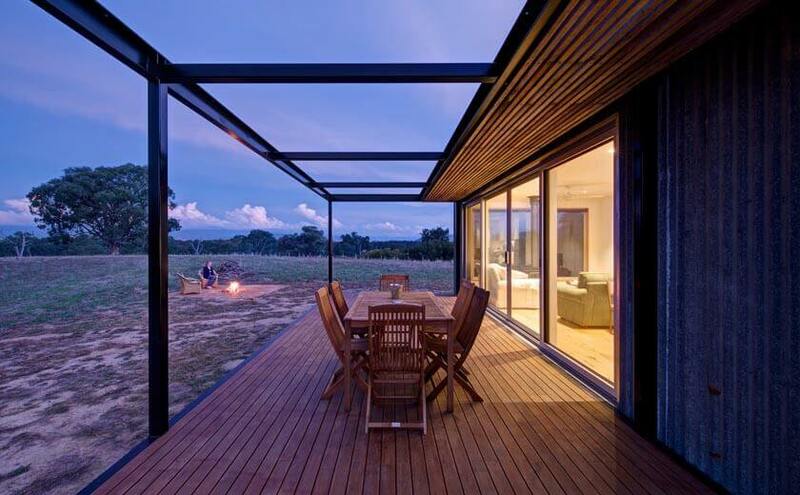 Situated on a vast property on the southern banks of the Murray River in Tintaldra, approximately 100km east of Albury, this unique home serves as an Australian base for a client living overseas and offers a secluded yet intimate existence from which the surrounding environment can be observed and revered. As a small boutique project, the design brief required a single-module cabin that was completely offgrid and easily maintained during long periods of vacancy throughout the year. A cladding system was subsequently developed to create a salvaged, shed-like exterior, consisting of a base layer of new zincalume and a top layer of recycled zincalume which was applied for effect. 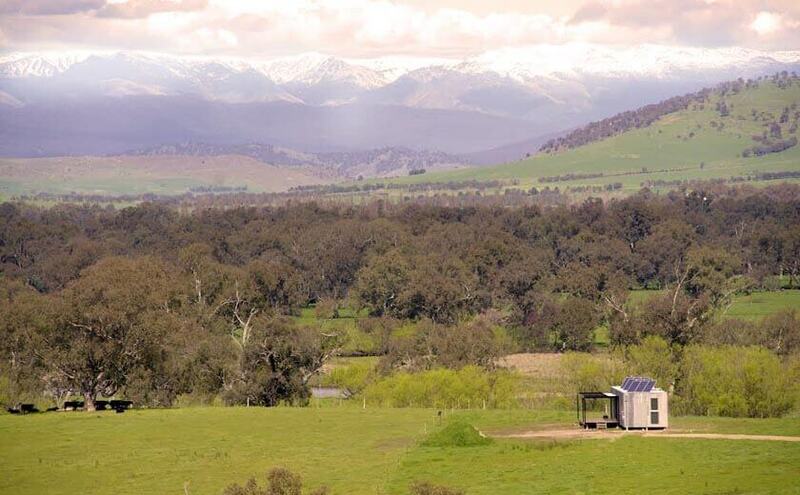 When viewed from the road, the cabin recedes into the landscape by looking like any number of sheds in the area and appears as a small silhouette against the main range of the snowy mountains on the horizon. As a stark contrast, the interior is crisp white with clean lines and contemporary fittings and fixtures, although the environment continues to be referenced in punctuations of timber flooring, decking, and a wood fire heater that invites the outdoors in. Minimalistic in layout, the cabin provides all the amenities needed for living including a master bedroom, bathroom and modest open plan kitchen/living/dining area, while solar panels, a septic tank and a rainwater tank ensures year-round services and minimal environmental impact. 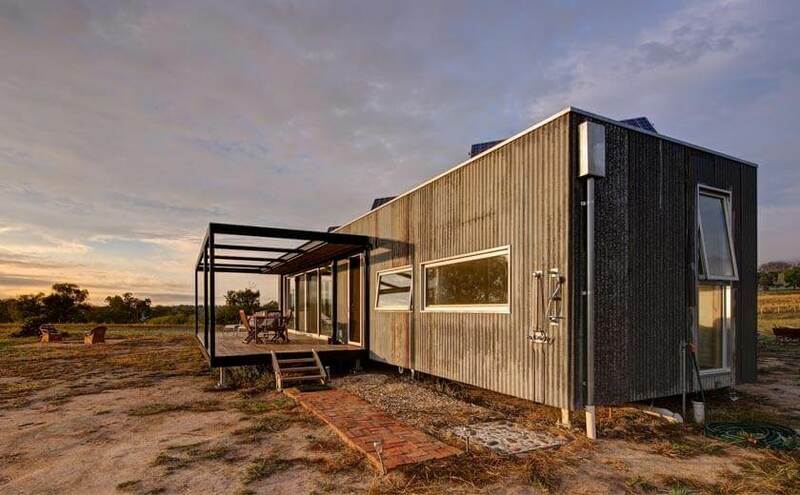 Enormously popular in Scandinavian countries – modular housing has traditionally been stigmatised by limited design and material options in Australia, due to keeping costs low through mass-production. This stigma is fast changing, with new technology and a shift in design focus. Opening up flexibility in design, new home-owners are now able to take full advantage of the benefits of this type of construction, while still having a home designed around their needs and budget. 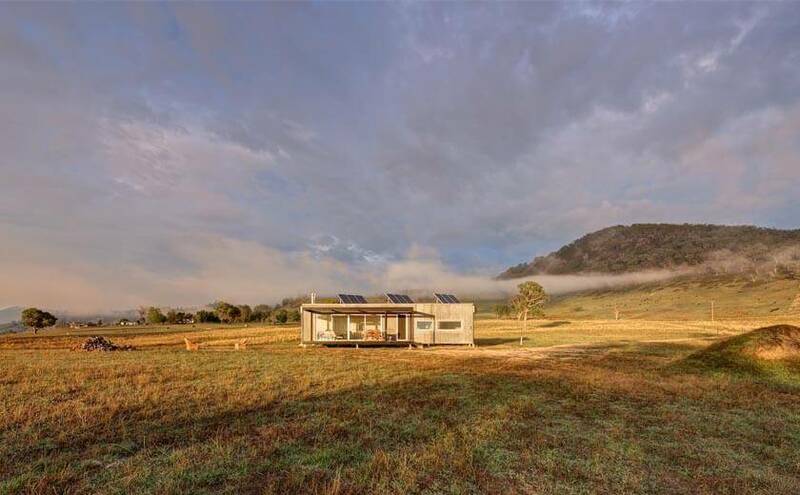 Melbourne-based Modscape are at the forefront of design-led prefab housing, with its studio and factory delivering a diverse range of homes to the far reaches of our continent. “The factory environment in which the modules are constructed ensures the risk of weather and site delays are eliminated,” says Jan Gyrn, Modscape’s director, pointing to the fact that a home can be constructed and installed in 12 weeks from the issue of a building permit. Gyrn’s team of architects and interior designers are at the core of this operation and its growing portfolio of residential projects belies the fact that these homes are delivered in truck-sized modules. The team also collaborates with other architects designing prefab, offering advice and management of site and regulatory requirements. The rapid construction cycle of prefab ensures that Gyrn and his team document each project thoroughly, which results in greater cost control, precise design resolution, minimising surprises for clients throughout the design process. Each module comes plumbed and wired, as well as fitted-out with all internal finishes and fittings, right down to the toilet roll holder, prior to delivery.